The relatively new sport of Arabian horse racing in Australia is giving women something of an inside running. 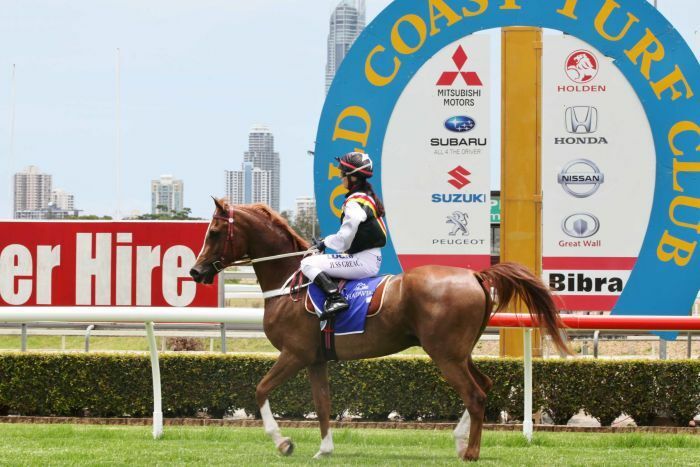 Arabian horses returned to the Gold Coast track two weekends ago, a year after their debut in the tourist capital. An 18-year-old female jockey from Warwick, Isabella Teh, won two races which buoyed hopes that the emerging sport will open the field for women. Ms Teh is one of about 30 Australian women jockeys competing on Arabian horses in 56 countries, worldwide there are 250 female jockeys in the industry. Queensland is well placed to progress the sport for women, with the state hosting more races than any other state, with meets on the Gold Coast, Cairns, Atherton, Mareeba, Beaudesert, Warwick, Jandowae, Dalby and the neighbouring township of Bell. As no bets are taken on the industry in Australia and weight restrictions do not apply, women have found the sport easier to enter compared to the male-dominated thoroughbred industry. National Arabian Race Horse Association (NARHA) Maureen Milburne said the sport is more appealing as it does not require an intensive apprenticeship nor has a 51 kilogram weight restriction for jockeys. Arabian horses are slightly smaller than their thoroughbred cousins but can carry significantly higher weights. “You actually have to ask the horse to do something … you can’t force them to do it because they just simply won’t do it but if you work with them they will do anything for you,” Mrs Milburne said. Pamela O’Neill, a director of the Australian Jockeys Association, was a trailblazer for the industry and fought for the rights to race against men. After about 20 years of riding in women-only races, Ms O’Neil achieved one of the highlights of her career when she won the first unisex race in Melbourne and beat the great Roy Higgins. “I won the race by about 10 lengths and at the presentation Roy (Jockey great Roy Higgins) wasn’t there and everybody said where’s Roy?” Ms O’Neill said. Ms O’Neill said attitudes have changed but it can be difficult for women to get a ride at major thoroughbred meetings. “We have seen a couple of women ride in the Melbourne Cup but we don’t see as many as the males,” she said. Dani Walker is a well known trackwork rider and amateur jockey who represented Australia at Arabian meetings around the world. “I was working in stables from eight, I rode my first set of gallops when I was 13 and my first winner at 16,” she said. The Victorian is realistic about the dangers of her chosen sport. “We’ve got 500 kilos of horse underneath us,” she said. “We come to approximately 10 per cent of their body weight so in any aspect it’s dangerous. 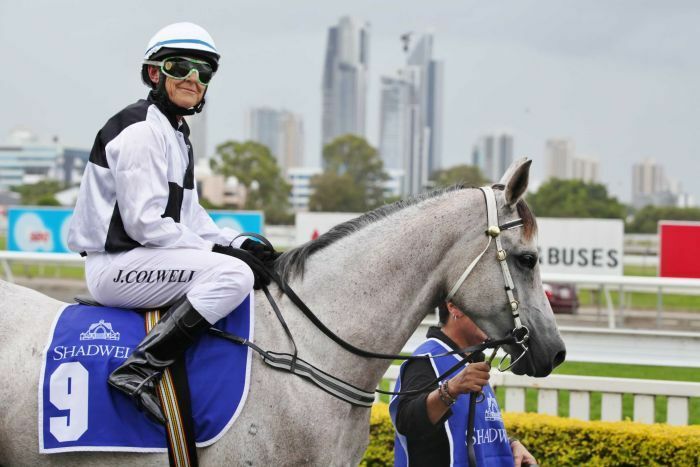 The next Arabian Horse Racing event will be in the township of Bell, 160 kilometres north west of Brisbane on January 3.